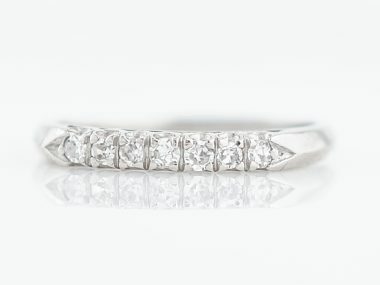 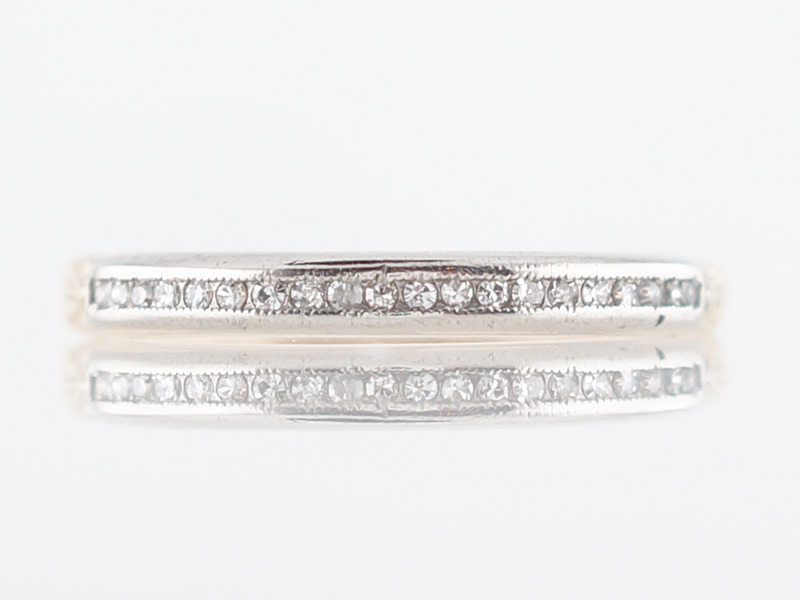 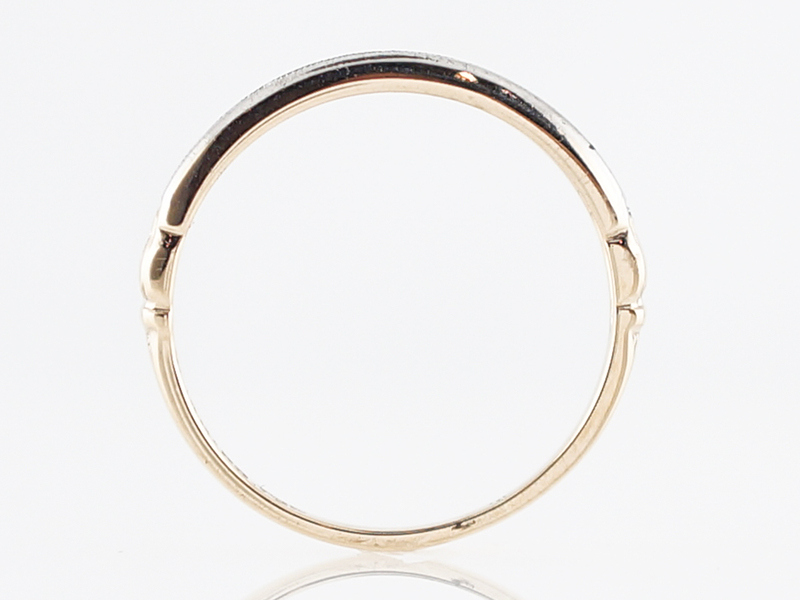 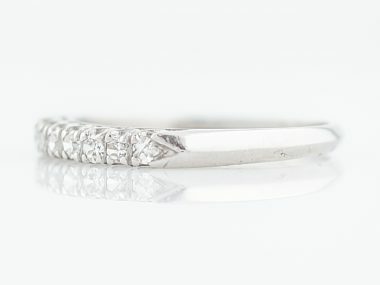 A great Vintage Wedding band from the Retro era. 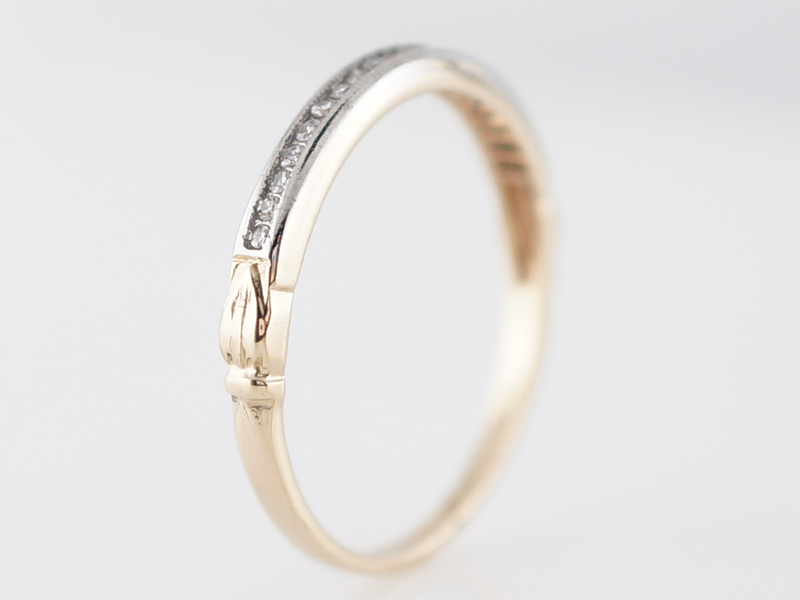 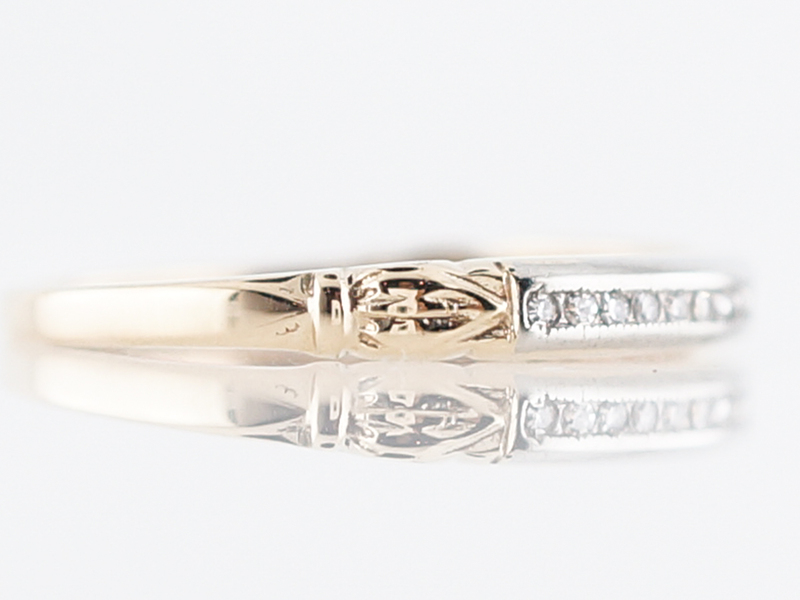 With .10 carats Single Cut diamonds set in a band composed of 14k gold in white and yellow, this band is sleek and charming. 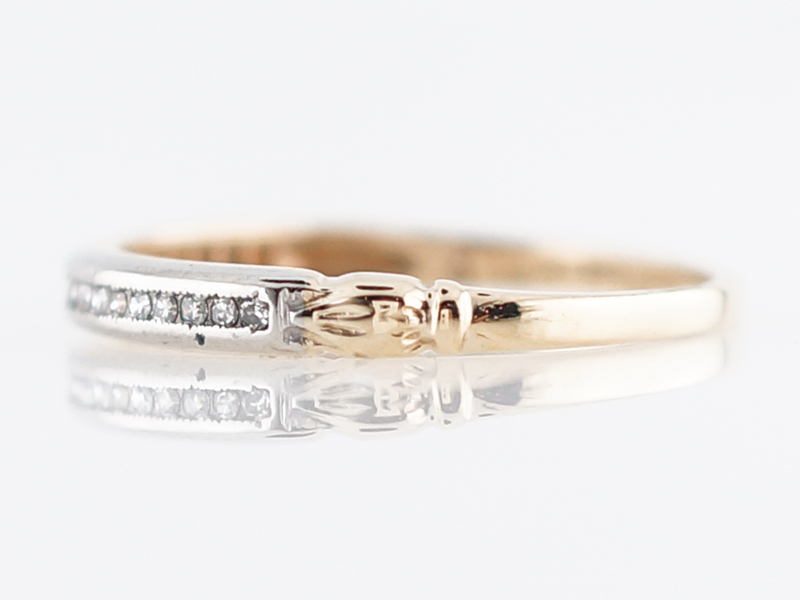 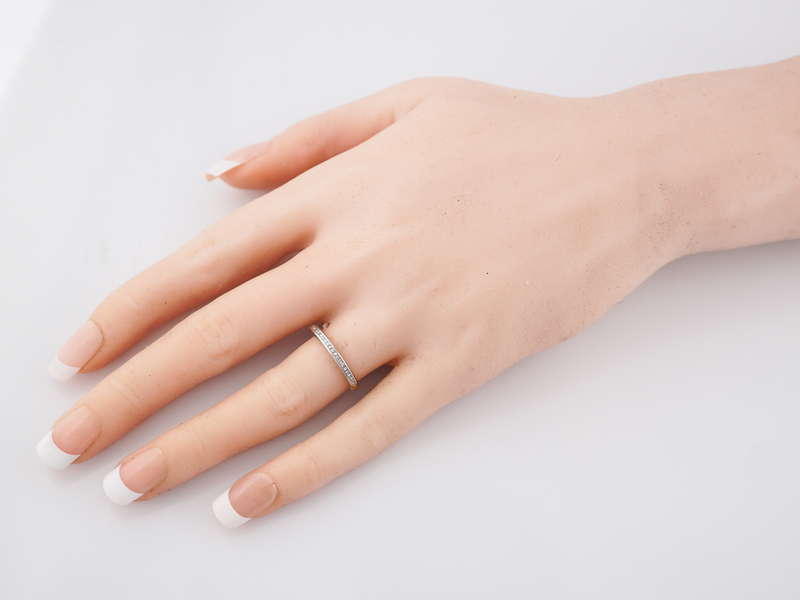 The complimentary appeal of the two tone look, with the embellishments along the shank give this simple ring a little something extra.